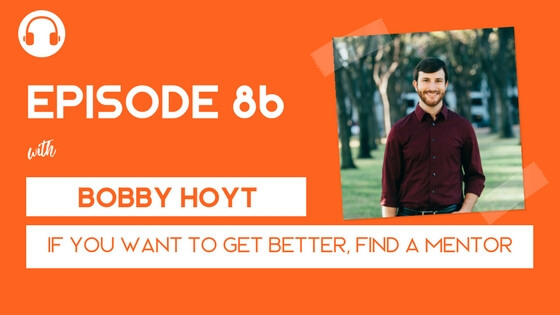 On the show today I am interviewing fellow blogger and founder of Millennial Money Man, Bobby Hoyt. Bobby and I have a lot in common as you will hear. We both paid off quite a bit of debt in a very short amount of time, and we both did it the same way – with SACRIFICE. However, one of the main things we both completely agree on is how much we both value our mentors. Bobby shares how and where he met his mentor and how his life and business have completely transformed since they started working together. I chime in quite a bit on the conversation because of the belief I have in finding someone you can look up to in business, relationships, goal-setting, family, etc., and asking them the tough question: “would you become my mentor”.